Cathedral Rock from Chapel Trail (Infrared) ©2019 James D Peterson. The desert territory around Sedona, Arizona, is unlike any other. In addition to our famous red rocks, we also have a unique blend of low and high desert flora. That makes sense, since Sedona is in the transition zone between the two types of desert. 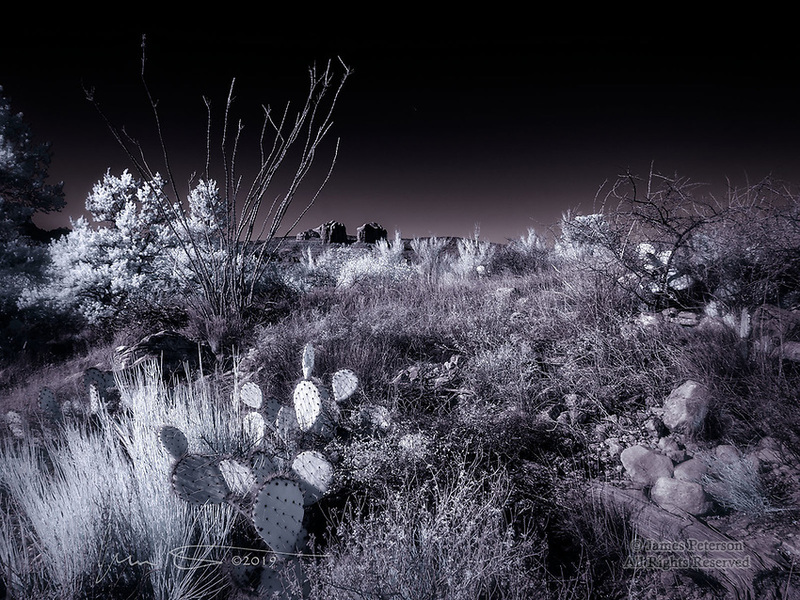 But in any case, an infrared photo gives our desert plants a chance to show off their invisible (to the naked eye) glow.